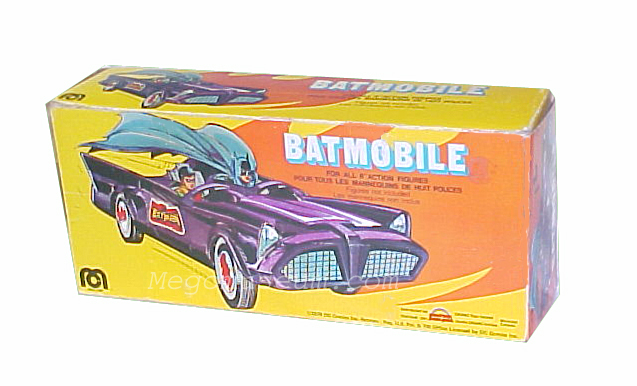 Clearly modeled on the TV series vehicle, the Mego WGSH Batmobile is one of the core Mego toys. Simple and sturdy, countless thousands of them rumbled across backyards, over linoleum floors, down flights of stairs and through puddles of mud. 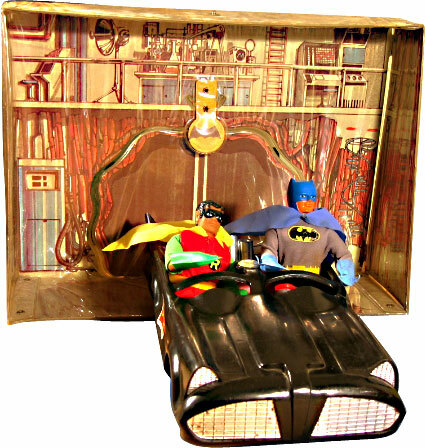 Barely in scale, it fits the dynamic duo in quirky style if not comfort. 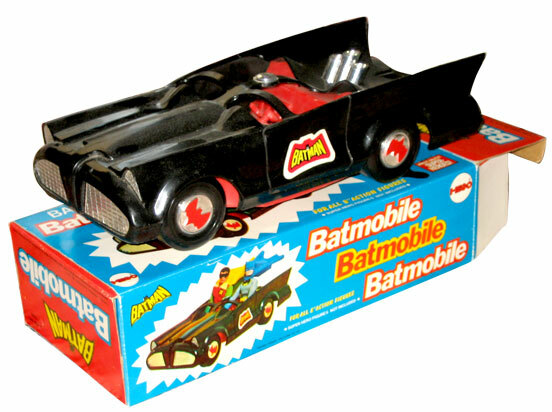 The Batmobile came in two different boxes and a “card”. 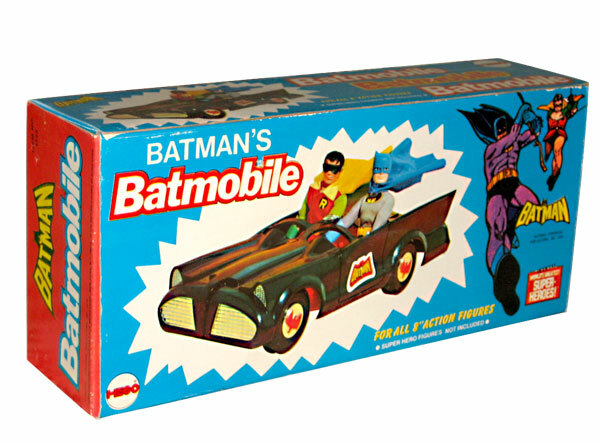 The wonderful “art” box features a slick Neil Adams design, which fits in with the other Hero cars. The less common photo box. 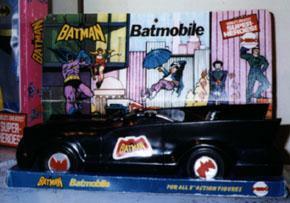 The crazy rare Carded Batmobile.